Hello Friends! Today is my share day on the DT blog and I decided to post here, as well. I created a card featuring Harvest Bounty. I printed the image onto white card stock, colored it with Copic markers and cut it out. I paired it with some of those cute papers from Lawn Fawn, added a sweet sentiment, a few sequins, a little bit of sparkly twine and called it done! Oh! I used sketch #2 from Operation Write Home. 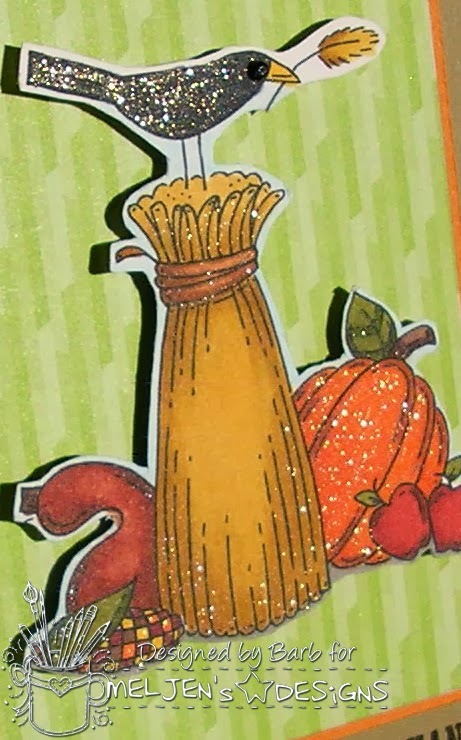 I just love those Wink of Stella markers! 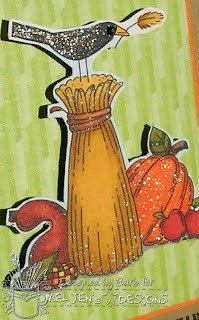 I used orange on the pumpkin, black on the bird, a little brown on the gourd and clear everywhere else. They add the perfect amount of sparkle...no mess, no fuss. That's it from me today. Thank you for visiting. I appreciate it! Happy weekend to you! 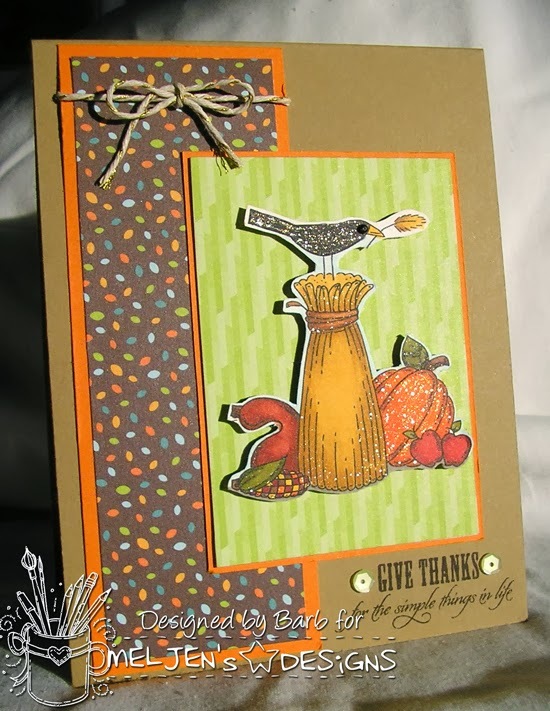 What a fabulous fall card, Barb. Love the colors, the papers and of course, the sparkle. I enjoy all the details you add to each of your cards. They are well thought out and wonderfully executed. Have a wonderful weekend. 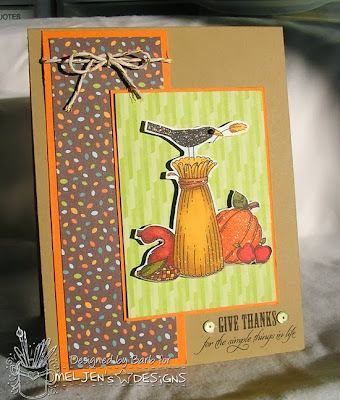 Lovely Thanksgiving card, Barb. Perfect sentiment as well! Lovely papers and sentiment. The sparkle is a perfect finishing touch.